Posted on 11th February 2019 at 11:46 am. Everyone these days is talking about the Cloud, but what actually is it? This month I decided to take a look behind the image of fluffy white blobs in a bright blue sky that the word conjures up and explore Cloud Computing. 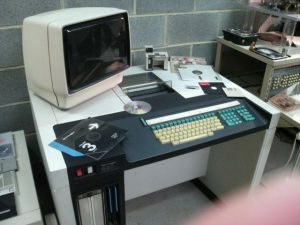 Computing has moved on so much – in my first job the hard drive for my desktop at the office was so big, it was my desk! but only because something similar to this little beauty was hiding in a room of its own to power everything. And I had to get in half an hour early to “boot it up” – otherwise we spent the time twiddling our thumbs unable to do anything. These days I hook my laptop up to a couple of monitors and away I go. No separate room for the mainframe and most laptops have more memory and processing capability than either of those 2 earlier computers could even dream of. Now everyone is talking about migrating to the cloud and reducing our hardware requirements even more. But the Cloud is about so much more than hardware! As a concept, the Cloud has been around since the late 1960’s. 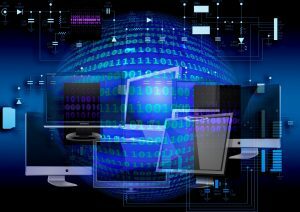 In a nutshell, the Cloud is a system of software and services, including data storage, that run on the internet instead of on your physical computer. Theoretically, you can access everything from any device with an internet connection. The term ‘Cloud’ is a little misleading, conjuring images as it does that your data is somehow floating around in the sky. In reality, of course, your data and software have a very physical home – you just might not be aware of its exact geographical location. Many people are already utilising the Cloud in their personal lives for storage and back up of, for example, photos and you may not realise just how much use of the Cloud you are already making. Research conducted in 2017 by the Cloud Industry Forum showed that, in business, the overall Cloud adoption rate had increased by 83% since 2010. The majority of Cloud services were still for traditional web hosting but there had been growth in other areas too. Why Should we use the Cloud? 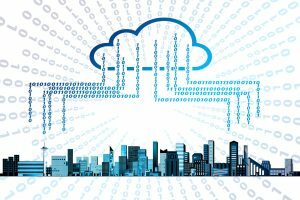 The Cloud is a Key enabler of digital transformation and offers many advantages in terms of cost, flexibility and efficiency. When considering scalability in a growing business, migrating to the Cloud also offers advantages. While there is, of course, a cost implication to the actual migration to the Cloud, generally the Cloud can be cheaper to set up and it also takes up less physical space. Storage on physical hardware is limited whereas it is easy to increase storage in the cloud when you need to making it more flexible. It’s like renting space that is fluid – you can make it bigger, or smaller, when you need to. Migrating to the Cloud doesn’t necessarily mean changing all your systems – your software will just sit on a different server that you can access remotely. You may need a web portal developing to enable this. Because you and your employees can access your Company’s data, software and systems from any location via a mobile device, the Cloud also makes it easier to work remotely. Physical hardware ie servers and hard drives can become overloaded and fail. This is also true of servers run by your Cloud provider. The big difference is that they will be able to use economies of scale to provide robust contingency plans in the event of hardware failures. Most Cloud providers will have multiple backups of everything you store with them and will have the facility to move you to another server in the unlikely event that your specific one goes down. I spoke to a Cloud provider recently who has back-up generators for the back-up generators in the event of a power failure at one of their data centres! GDPR and the Facebook misuse of personal data has brought the question of security to the fore recently. When we think about security and the Cloud, we are not just thinking about data misuse though. We need to consider the security of personal data; company data; malware; bugs; viruses; hacking and so on. The majority of Cloud hosting companies provide security levels that few businesses would be able to afford to implement themselves. The risk of losing your connection to the internet and your Cloud services is ever decreasing with advances in routing technologies and network infrastructure. However, it does still exist and is more problematic for some than others. The main trade off in moving to the Cloud then becomes accepting the risk of losing your internet connection. This is where your digital resilience strategy comes into play. If your connection to the internet goes down, how will you continue to function as a business? There is a TV ad showing at the moment promising to deliver a 4G unlimited hub in the event of such a failure on its domestic provision but how long will that hub take to arrive? For a business there is a cost v benefit risk analysis to be done in terms of perhaps having one already on standby – the main question being what value of business would you lose if your internet was down for an hour? The other glaring risk is the flip side of one of the big advantages – the ability to log in from anywhere, using any mobile device. Of course, adopting high levels of security and user authentication minimises the risk of unauthorised access to the system but you will no longer be able to prevent a disgruntled employee gaining access just by locking them out of the office. At what point during a grievance or disciplinary do you consider denying an employee access to data? What is involved in moving to the Cloud? A migration to the Cloud needs to be planned in order to prevent minimal downtime and loss to the business. It is important to identify which workflows you want to migrate to the Cloud and why. Working backwards from the desired end result may lead to bigger changes than first envisioned but will undoubtedly provide the best outcome. Asking a third party to assist in the process is possibly a wise move. Our own ideas can often blinkered us and holding on too tight to the “baby” that our business has become may prevent us from exploring fully every opportunity. The most visionary of leaders surround themselves with teams that are willing to challenge them and support them in pushing the boundaries. As technology advances and concerns about security and cost diminish, we may all soon have our heads in the Cloud rather than being fettered by our hardware. If you are ready to migrate to the Cloud and don’t know where to start get in touch! Roar Software offer a free, no obligation business systems review and can help you to push technological boundaries as you take your business into the future. Posted on 5th October 2018 at 5:20 pm. So many questions! AI doing what? What will workers do with the extra time? How does that fit with Digital Transformation? Is it just about Digital Business Automation or will it need full Digital Disruption? What’s the difference between the three? What about Digital Resilience? What even is Digital Resilience??? Lunchtime Yoga!! Those of you that follow my blogs, may recall that way back in April I wrote about businesses introducing lunchtime yoga as a way of trying to reduce workplace stress. You may recall, that while I am not against lunchtime yoga per se (I actually do an 1.5 hour evening class every week), I feel that there are other approaches that could potentially be more beneficial. I guess some of what I was getting at was the cultural shift that was really required (more on cultural shifts later). I have experienced businesses that introduce lunchtime activities driven by HR and designed to help reduce stress only to see them fail because management aren’t bought in, and employees don’t feel able to leave their desks to attend. I suggested that a better approach to reducing workplace stress would be to tackle the main cause – overwork – and that one way of doing that may be to look at how tech could be utilised to reduce workloads for individuals. According to this research, using AI in the workplace could release 3.5 hours per week for the average employee. That would enable employees to take a proper break at lunchtime; to reduce the extra unpaid hours they put in arriving early or leaving late; give them thinking time; enable them to be more productive because they are not as stressed and overloaded. It’s a win, win! BUT ONLY, and I mean ONLY, if a cultural shift also takes place to make all of those things acceptable in the workplace. My working day ends at 5.30pm. I have a boss who is very protective of his own free/family time and doesn’t expect anything different from any of his team. Yet I still feel guilty when I pack up at the end of the day. There is still a sense of dawdling so I’m not the first person to leave the building. So deeply ingrained in me after all these years of working is the “can’t be seen to want to go home” attitude that even in a totally different environment, I struggle to shake it. Lucky are those of you who just pack up and leave without a care. The culture of a company is so important and going to be even more so as the use of AI becomes more widespread. There is a lot of scaremongering going on – stories in the media about how robots and AI are going to steal our jobs are an almost daily occurrence – but actually, this is a golden opportunity to improve our workplace wellbeing. Of course much depends on how businesses view those 3.5 hours a day and some of that may depend on the drivers and motives for them undertaking the digital disruption that will lead to those 3.5 hours becoming available. There are so many possibilities: a shorter working week; shorter working days; more manageable workloads; utilising the time created to upskill employees so that both they and the business can gain the maximum benefit from emerging technologies. Digital Disruption isn’t just about the introduction of new technology, it is about introducing new systems and new ways of working, too. More on Digital Disruption, Digital Transformation, Digital Business Automation and Digital Resilience in the next blog. Posted on 15th June 2017 at 11:10 am. One of the problems I have found when adopting an agile approach to developing systems (and I mean truly agile, according to the agilemanifesto.org rules, rather than a particular project management methodology), is that the high level of end user interaction in the development process can sometimes lead to the users, in effect, designing the systems. They often come with an idea for a technical solution to their problem and ask us developers to build that, rather than allowing analysts to design the solution. I often use the analogy of a visit to the doctor’s surgery to illustrate this. In recent times the old role of systems analyst or analyst/developer seems to have evolved into two separate roles – the business analyst (often with little or no programming skills or experience) and the software developer. In our doctor’s surgery analogy, the roles of user, business analyst and software developer are fulfilled by the patient, doctor and pharmacist. 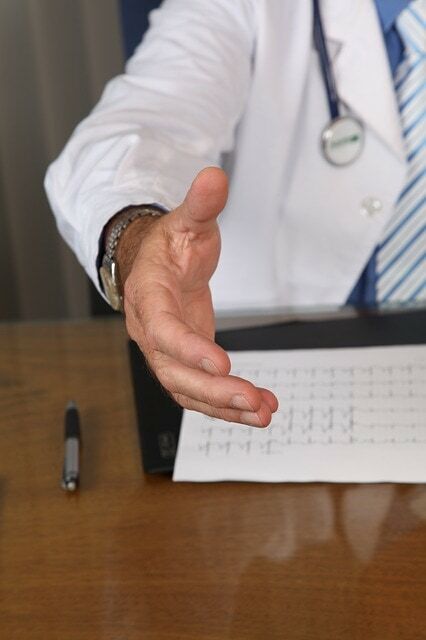 It is the doctor’s role to investigate the symptoms, diagnose the problem and come up with a treatment plan, which they agree with the patient. It is then the role of the pharmacist to provide that treatment. In software development projects, it is frequently the case that the patient (user) walks into the surgery with their own treatment plan in mind. They enter the room and ask for penicillin. It is too often, in my experience, that the doctor (analyst) then simply writes out a prescription for penicillin and hands that over to the pharmacist (developer). Imagine the case, where the pharmacist spots a problem with the treatment plan (say the patient has a virus), doesn’t think it is wise, and says to the doctor, “I don’t think this is right”, only for the doctor to respond with: “That’s what the patient asked for, give it to them”. I’ve seen this story play out in many a troubled software project! Even worse, I’ve often seen the equivalent of the doctor simply leaving blank prescriptions at reception for patients to fill in themselves and hand to the pharmacist! The business analyst role is not simply to liaise between users and developers (I’ve known business analysts whose time was mostly taken up being an email relay, or a chinese whisperer!). They need to be looking at the business needs behind any request and designing a solution that fits with any current systems that are in place, before bringing that to a developer. In addition, it’s rare that an analyst with no technical or programming experience will have the ability to know the full extent of what a software system can achieve, or design solutions that fit into existing systems well. Maybe it’s time to bring back the combined role of analyst/developer.